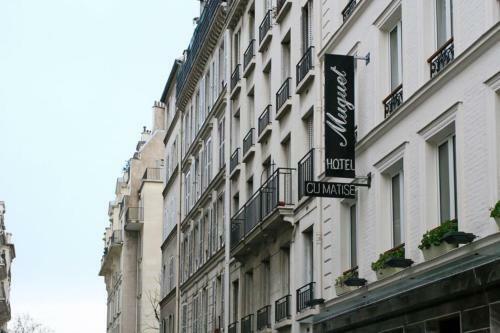 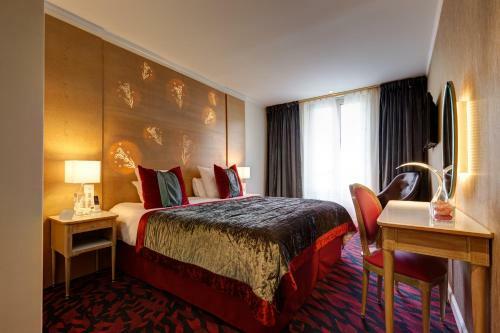 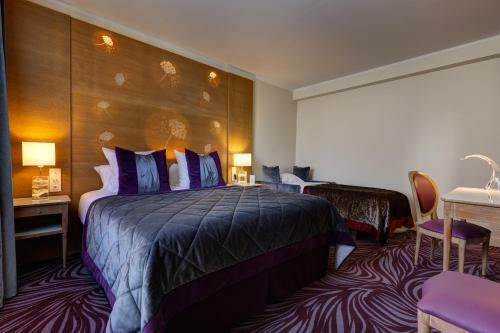 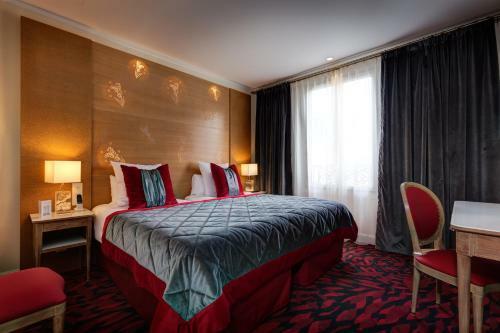 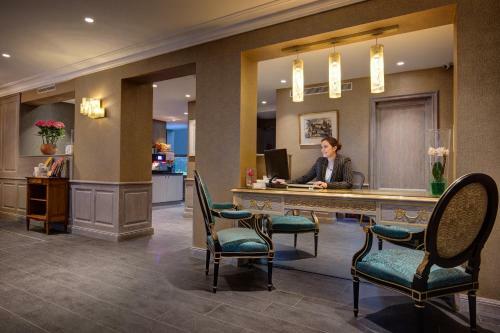 Located in central Paris, Hotel Muguet is just 2 minutes from Hotel des Invalides and 500 metres from the Champ de Mars. 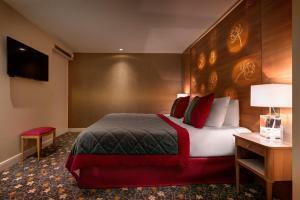 It offers modern-style rooms with an LCD TV. 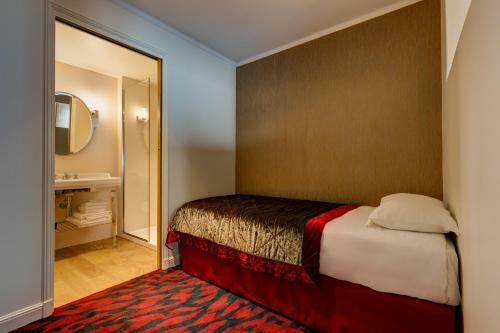 All of the rooms at Hotel Muguet have a telephone and a wake up service. 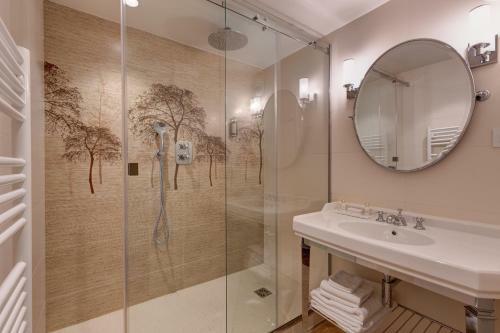 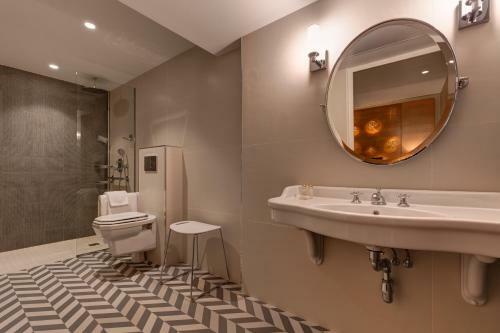 Each has a private bathroom with amenities and a hairdryer. 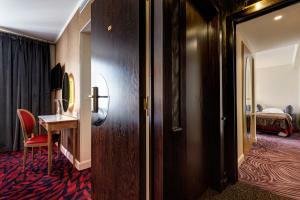 A lift services all of the rooms and some have views of the Eiffel Tower. 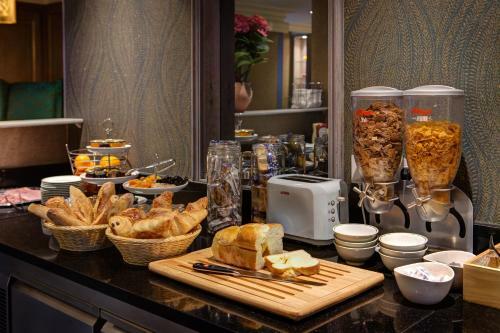 The hotel serves a daily continental breakfast in the dining room. 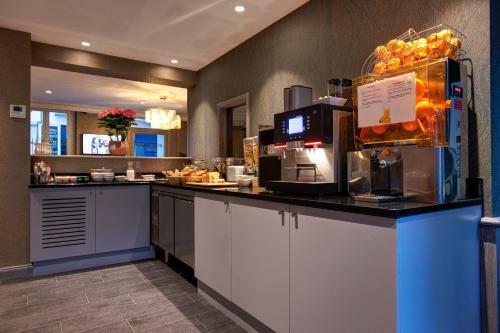 Other facilities include a 24-hour front desk, a newspaper ordering service and free Wi-Fi access. 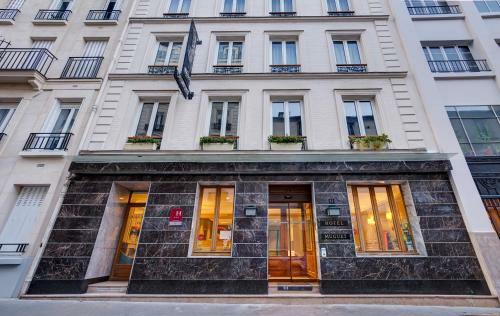 La Tour Maubourg Metro Station is a 3-minute walk away providing direct access to Place de la Concorde and Opéra Garnier theatre. 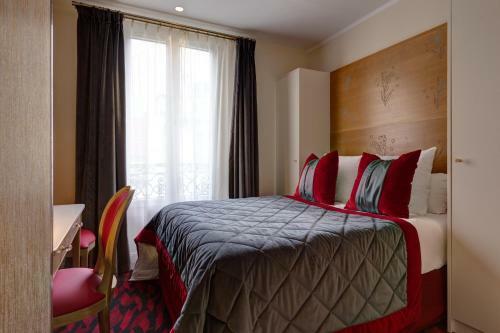 Guests may choose to walk to the Eiffel Tower, 15 minutes away. This air-conditioned room features free Wi-Fi and a flat-screen TV. 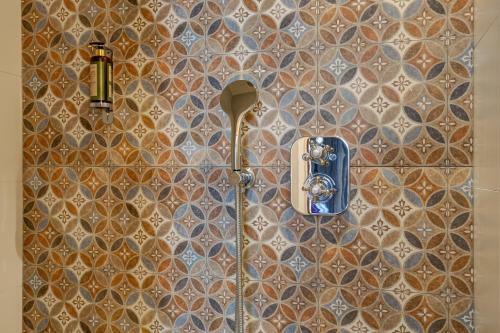 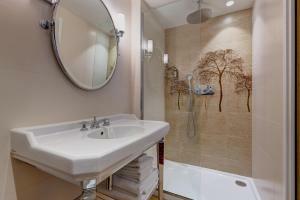 The en suite bathroom has a bath or shower, a hairdryer and free toiletries. 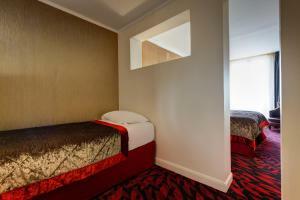 This air-conditioned room features free Wi-Fi and a flat-screen TV. 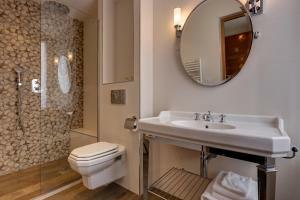 The en suite bathroom has a bath or shower, a hairdryer and free toiletries. 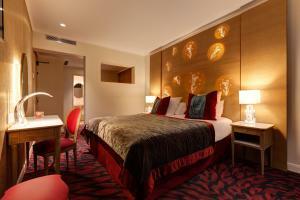 This room can accommodate a children's cot. 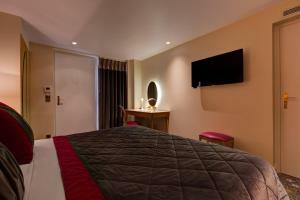 Rate: € 203.33 ... € 450.00; select dates below to get current rates.